Many of you know this about me, but I’ll say it again: I am a coupon addict. It pains me to go to the grocery store without a stack of them. I love the rush of feeling like I just robbed the store. I plan, I plot, I wait, I watch. 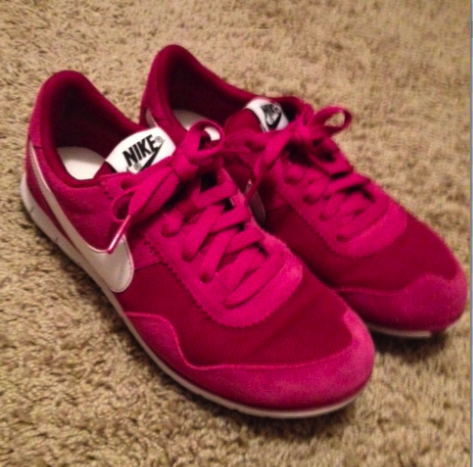 Then, I swoop in and buy, buy, buy! Now, before you get concerned, let me clarify: I only buy stuff we actually use, unless I can get it for free and then I donate it. I have not built an addition onto my house to store 3 years’ worth of groceries, and I don’t clean out an entire department of my grocery store in one fell swoop. But, I do sleep well knowing that I have my own little personal hoard of olive oil, soup, rice and beans (and occasionally feta cheese, pie crust, spaghetti sauce and pickles). Last week, I noticed that a new product was on sale at Publix: Progresso’s “Recipe Starters.” At first, I thought this was similar to the new concentrated stocks that a lot of broth companies have introduced. I downloaded some coupons and decided to check this stuff out. As it turns out, these are not all stocks. They are bases to start recipes. In addition to the product, the box offers recipe ideas. I selected a variety to give it a try: Creamy Parmesan Basil, Fire Roasted Tomato, Creamy Roasted Garlic and Creamy Three Cheese. Just a few days later, I received an email from MyBlogSpark, introducing me to “Progresso Recipe Starters,” which included a link to a high value coupon for the product. They have encouraged me to post this coupon link for you, my faithful reader, to download and give the product a try. I decided to use one of them myself so I could give you my two-cents’ worth, in case you’re interested. I used the “Easy Weeknight Bacon Mac n Cheese” recipe right on the label. You can view the recipe right here. I served it with a grilled flatiron steak and green beans. This dish was very tasty (BACON!) and very creamy. I think the flavor could be boosted even more with a sharper cheese thrown in, like blue cheese maybe. And, it was a snap to prepare. It absolutely fits the bill for an easy weeknight dish. If you are the type who prefers the old school, drier oven baked macaroni from your grandmother, this may not do it for you. 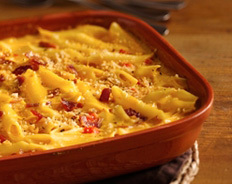 But, if you are one who digs hot, cheesy, creamy pasta…this is a winner. If you’re interested in trying out this product, the nice people at Progresso have made this coupon available to us. And, their generosity doesn’t end there. They also included a coupon for Progresso Light Soups. These are low calorie soups; some as low as 100 calories! Please note that this information and the coupons were provided to me from MyBlogSpark and Progresso. Download the coupons and try out the products. Thank you Progresso! It’s that time of year when summer is coming to a close, when daily routines consist of packing lunches, participating in after-school activities, and completing homework assignments. Wasn’t it just yesterday that summer began? Where did the time go? Time flies when you are having fun, and it goes even faster as you get older. I bet that when I mentioned school you thought I was talking about my son, Brandon, who is starting his senior year in high school. I will definitely take the opportunity to talk about him because I am so proud of all that he is accomplishing as he gets ready for his next chapter. Actually, the student I am talking about was me! Yep – I am back in college as a part-time student at the University of South Carolina. I can’t believe that I am once again a student who has homework assignments and tests. I thought it was time to tackle another bucket list item – finishing my Computer Information Systems (CIS) degree. Why go back to school? I want to finish what I started so many years ago. I figure that if I can beat cancer, I can certainly finish my degree! However, you don’t need cancer to motivate yourself to accomplish what is on your bucket list. Pick one thing, make it a priority, tell yourself that you are important and that you can reach any goal you set as long as you continue to believe in yourself. Since I have a job, I can’t go back to school full-time, so I plan to take 2 or 3 classes a semester. I’ll keep chipping away at my dream of one day walking down the isle with my degree in hand. I will get there one day, and I will take it one step at a time until I reach the finish line. This semester, I am taking 3 classes. I start my day at 5:00am, go to work, attend classes in the evenings, and get home between 8 and 9pm. One of my classes is Business Writing, which is every other Saturday starting at 9:00am and ending at 1:30pm. I am sure many of you are thinking “Why take a class on Saturday?” For one, it is only every other Saturday and, most importantly, there are only 9 class days needed to complete the course. Despite homework, projects and the occasional quiz/test, it has been the easiest of my classes. Are any of you back in school or taking classes outside of work? Or are you tackling a different item from your bucket list? Please share your story and your tips to stay motivated! Ahhh, how I love Starbucks’ Pumpkin Spice Latte! Although it comes out in early September, when it’s still plenty warm – hot, even – its arrival signals the start of Autumn for me. With my transition to healthier eating, I’ve mostly switched to Pumpkin Spice K-Cups, but every now and then, I still treat myself to a Pumpkin Spice Latte. As Sister just so wisely said, “That’s why you can’t get them all year long.” Touche! I recently stumbled upon a fabulous Pumpkin Spice Smoothie recipe on an equally fabulous website, Healthful Pursuit. 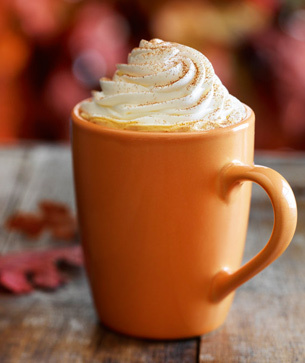 Compared to the same size Pumpkin Spice Latte, it has half the calories and sugar, a third less carbohydrate and even a nice amount of fiber! Given that, I think you could add a little whip with no guilt! Another treat I’ve tried and loved: Crock Pot Pumpkin Spice Steel Cut Oats. Hearty, easy and delicious! What is YOUR favorite fall food? Have you found any healthy alternatives? Please share them! I would like more time. There, I said it. Last month, I talked to you all about my late nights, which resulted in a lack of sleep. I need more time. No, actually I need to prioritize. I have gotten better at getting to bed before the start of the next day. However, I need to be a better steward of my time – between dropping kids off, working from home, picking kids up, supervising homework, making dinner, going to bible study, and the list goes on and on and on. I have recently decided I am going to make my days and my time count! How about you? I have started by making time for my family. In our busy-ness, we sometimes forget the people that matter the most. In our home we always have Friday nights as “Family Fun Night.” We have three young children: 2, 4, and 6 years old. As you can imagine, when we first started family night, it sometimes ended in complete disaster: sibling squabbles, crying, and me saying to my husband, “We are not doing that AGAIN!” But we stuck it out, and I can say my children look forward to it now, so much so we have added another day. I am a big fan of creating memories with my family. Children grow up fast! Have you discovered that? Some of our favorite family memories have been putting a puzzle together, tag at the park, playing the matching game, and eating out at our favorite restaurant. I am so serious about family time, I have made a rule that I do not speak to clients on those two days. 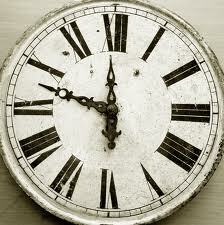 Time is a precious and valuable commodity. Years from now, you won’t want to look back and see that you wasted you precious time, so spend it with those who you love. Make it a point to prioritize your time. Time is a gift, so make sure you give it to the right people. Here are some “Family Friendly” ideas. You can get the complete list at Discover Fun. Have you tried any of these? Let us know what you do with your family! Attack a household chore as a team – then go out to celebrate! Make vacation plans for somewhere outrageous. Then work as a family to cut down on expenses and save money so you can actually go! What’s On Your Happiness List? Isn’t that just flat out FANTASTIC!?!?!? I just love this way of thinking. “Create your own University of One and major in wild ideas!” That seriously rocks! 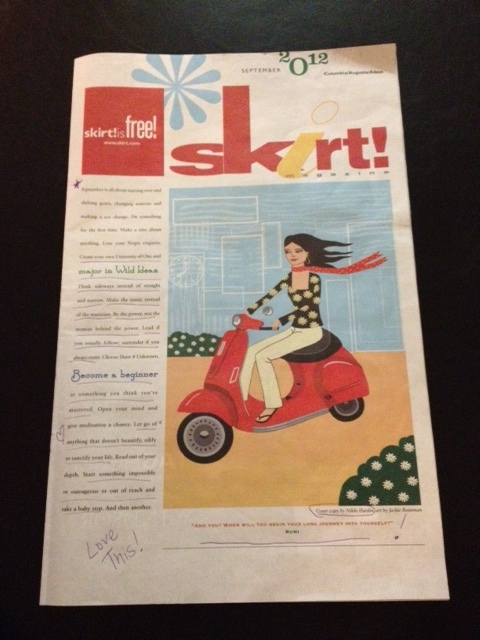 In this issue, the publisher, Nikki, shares her “Happiness List,” which consists of the “little, everyday pleasures of daily life.” She depends on this list to pump her up when she’s feeling down. Some of the items include: the song “Parachute Heart” by Grace Potter and the Nocturnals, Hendrick’s Gin & Tonics with one of her BFF’s after a Sunday yoga class, her Instant Queue on Netflix, and researching her next tattoo. I think it’s a great idea for all of us ladies to make a happiness list and to recognize the little things in our daily lives that bring a smile to our faces, give us comfort, and help to carry us though our day. Sweet Tea. It is so good to be back in the South! 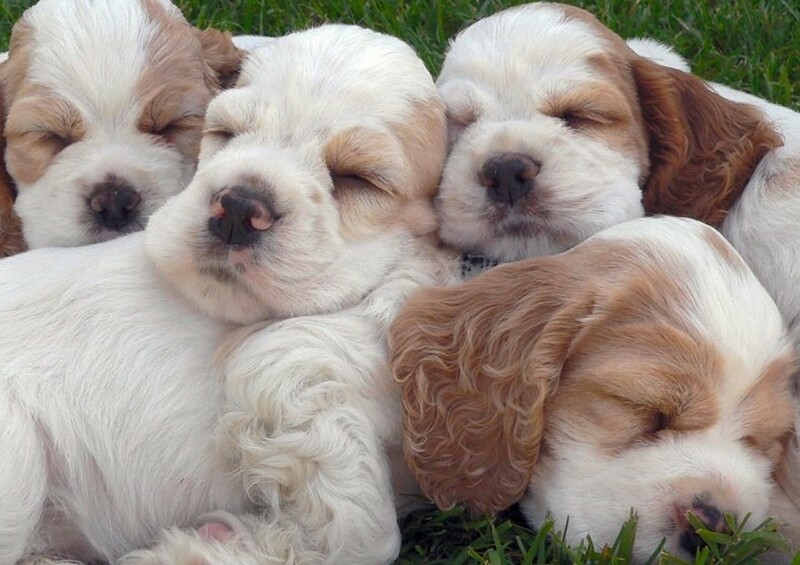 Researching puppies – yes, I’m considering it! Gosh, I could really go on and on! See… it’s good to take a moment and take note of the little things. In our busy, stressful lives, we really do have so much to appreciate and the sooner we recognize the happy, little things that are a part of our day-to-day grind, the sooner we’ll allow ourselves to appreciate the bigger things in life. What is on your Happiness List today? It is football season! That means a couple of things. My Sunday night love of watching 60 Minutes on CBS will be inevitably delayed an indeterminate amount of time each week. The football games ALWAYS run over the alotted time but NEVER by the same amount, so I find myself dashing in and out, checking the football clock not because I care about the game, but trying to see if I can fit one more chore in before the tick tock tick tock of my favorite show. It is football season! That means I can’t accidentally wear orange or the locals will think I’m pulling for the rival, and I’ll be blacklisted. It is football season! Gameday traffic and the TV on during Thanksgiving dinner, and friends being unavailable because they watch football and I don’t. It isn’t that I hate football. I just hate how my non-football oriented life is interrupted. In case you’re like me and you’re trying to delay the season little by little, then put away your chili recipe and your hot wing cravings and enjoy this meal of waning summer produce. 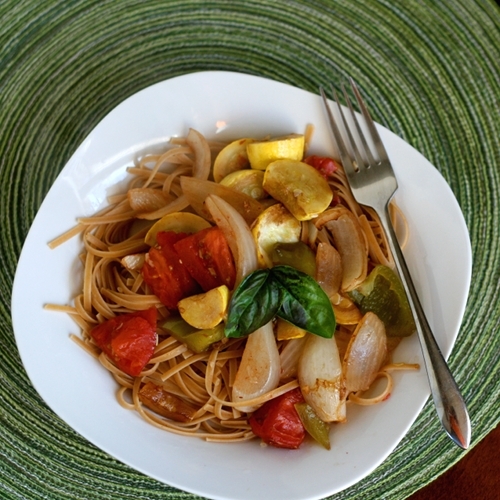 It is loaded with veggies and seasoned simply with high quality balsamic vinegars and olive oils. Whisk together garlic, olive oil, and vinegar. 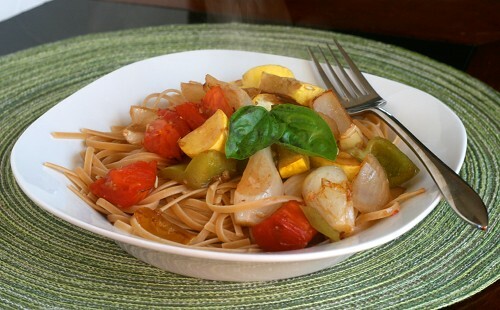 In a large bowl, toss vegetables with balsamic mixture until completely coated. Spread vegetables on a roasted pan and cook 20-25 minutes until browned. Well, that was, until last week. My “fears” were realized. I use the term “fears” loosely. True fear was last fall when I spent five days waiting for test results from a biopsy of an enlarged lymph node on my oldest son; I truly felt a weight lift from my shoulders when the nurse said his cancer panel was negative. However, we all have hopes and dreams for our children and when we realize that there is going to be a stumbling block placed in front of them, we fear that unknown- that uncertainty. After many months of counseling with a child therapist, during which she had given me the Vanderbilt testing forms, we reviewed the results together after both my son’s teacher and I had completed them. They weren’t very favorable. However, we chose not to address the test results with the pediatrician just yet. Instead, we chose to continue counseling through the summer. I was fearful of taking a lassaiz faire approach and just “sticking” him on medication. Two weeks into first grade, my opinion began to shift. “He is not focusing on his work. Could you please speak with him?” said the note from the teacher. This was on the second day of class. “I am having trouble getting Pierce to focus on his work again today,” said the email less than a week later. “He’s crying every time we try to talk to him or work on his homework with him,” said the phone call later that same afternoon from our church after school program. Something had to be done. If it was not ADD/ADHD, then my son was definitely experiencing some anxiety issues that I was ill prepared to handle in a six-year-old. Having long suffered from anxiety issues myself, I benefit greatly from daily medication and counseling. A visit to the pediatrician was definitely in line. My pediatrician reviewed the Vanderbilt forms. She reviewed some of Pierce’s schoolwork. She listened as I described his behaviors. She observed him in the office, where he was not being “bad” or truly “mischievous,” but was constantly on the move. He was positively ADHD. She had no doubts; even telling me, that if she had any doubts she would recommend counseling and would not prescribe medication, and that if it were her own son, she would try medication. So we left the office with a prescription for Focalin, which we started the very next morning. “I have seen a change already! He has kept up with all the work so far today!! !” said the email from his teacher after I notified her of what had occurred the afternoon before. “He finished all of his homework in about half the time and even had time to do a few extra sheets. Now he’s playing,” were the words said to me when I picked my boys up from the after school program. I’ll admit that I was a bit skeptical that the medication could work that quickly. However, Pierce’s counselor assured me that it could, and most likely had, worked that quickly. Now comes what I deem the hardest part: learning to live with the ADHD diagnosis. No, it is not life threatening, and for that, I am grateful. However, it is a stumbling block- one I really never considered. Just as a child who is diagnosed with juvenile diabetes (although that can be life threatening and much more severe than ADHD), it is a diagnosis with which we must learn to function. Like so many other issues and events, the actual “patient” is not the only one affected by the diagnosis; for us to overcome it as a family, it will require changes by everyone. My son’s counselor has suggested changes to our morning and evening routines to create clear structure and boundaries. She has said that better organization in our home will also help him focus better and prevent him from being overwhelmed with too many choices. We have also already added additional help with his reading to hopefully help him catch up and help boost his confidence level. I am comforted both by my decision-making process and the timing of that decision, knowing that we had already taken steps to help him out, non-medically, through counseling. We had tried another approach and it did not solve the dilemma. At the end of the day, while I struggled with the ADHD diagnosis and the decision to medicate my son, I think it was the right decision.